Thousands of people dying with a genetic lung condition are being left to cope without treatment, a report reveals today. 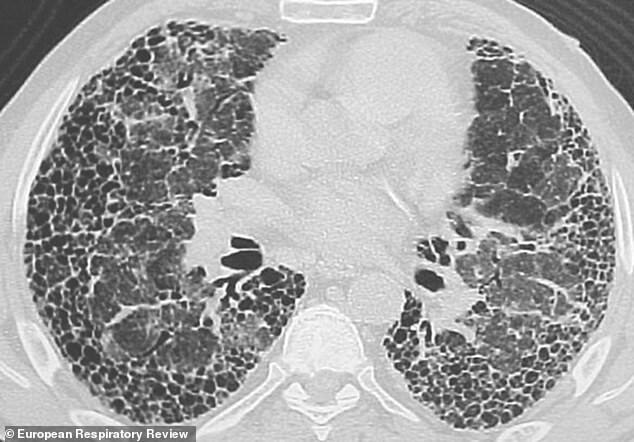 GPs misdiagnose 35 per cent of patients with idiopathic pulmonary fibrosis (IPF) – a terminal condition which causes irreversible scarring of the lungs. People with IPF live just three to four years on average after the condition takes hold, a worse prognosis than most cancers. Yet 54 per cent of patients wait at least six months to be diagnosed and 20 per cent endure a delay of more than two years, the report reveals. IPF, which affects 32,500 people in Britain, is caused by genetic mutations which makes the lungs up to 100 times more vulnerable to damage from dust, smoke and pollution in the air. The condition, which usually strikes in middle-age, is incurable but treatments are readily available to slow its advance and potentially give people a few extra months of life. But because doctors are grossly ignorant of the condition, 44 per cent of patients never get the drugs. Instead GPs wrongly diagnose their patients with asthma, heart disease or COPD. This often means that instead of receiving drugs, oxygen and physical rehabilitation, they are shunted back and forth between GPs, hospitals and scanning centres, receiving treatments for the wrong condition while their remaining years disappear. In some cases patients are not diagnosed until a few weeks before they die, by which time lung scarring has progressed so far that drugs will not work. The report, based on data from 776 patients with the condition, is the biggest investigation into IPF to date. Steve Jones, chairman of the Action for Pulmonary Fibrosis charity which produced the report, said: ‘To be diagnosed with IPF is to be given a death sentence. But delayed diagnosis means delayed treatment and worse outcomes for patients. He said most GPs are simply unaware of IPF and its tell-tale symptom – a crackling noise in the lungs which, when listened to through a stethoscope, sounds like Velcro being unfastened. ‘Our survey has revealed high levels of misdiagnosis is common in general practice,’ Mr Jones said. ‘This is often because GPs have limited experience of the disease and miss tell-tale signs. IPF – which kills 6,000 people in Britain every year – is caused by a genetic mutation that leaves people’s lungs extremely vulnerable to harm. The initial damage is usually suffered while a patient is young – caused by anything from inhaled dust to acid reflux. Tobacco smoke is thought to be one of the triggers, but not the only one, and many people with IPF have never smoked. The scarring in the lungs that defines IPF does not start to appear for up to 30 years, but once it has taken hold it causes rapid disability, leaving people unable to walk more than a few feet and reliant on oxygen. A lung transplant is the only treatment that can significantly extent someone’s life – but because lungs are usually given to younger patients with conditions such as cystic fibrosis, only 1 per cent of IPF patients ever receive one. The charity is calling for a major awareness campaign so GPs know what signs to look out for. Some high-profile individuals have been affected by IPF, including TV presenter Keith Chegwin who died in 2017 at the age of 60, and Katie Price’s mother Amy, who is currently battling the condition. But most people have never heard of the condition. 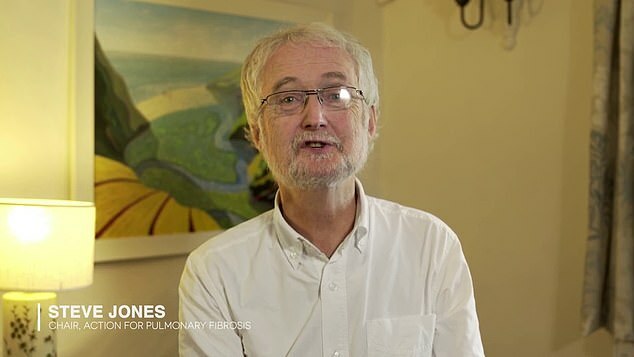 Professor Gisli Jenkins of the University of Nottingham, one of Britain’s leading experts on IPF, said: ‘This is a sobering report that suggests many healthcare professionals have only limited awareness of IPF, despite it being such a devastating and incurable disease. Professor Jenkins is working to develop a blood test that can quickly diagnose IPF. But until then doctors will continue to rely on listening to their patients’ chests and sending them for a CT scan. ‘We need to get to a point where GPs assume patients with these symptoms have IPF until it is ruled out,’ Professor Jenkins said. Professor Helen Stokes-Lampard, chair of the Royal College of GPs, said: ‘Idiopathic pulmonary fibrosis is a distressing condition that has devastating consequences for patients, their families and their carers. ‘It is clear from this report that raising awareness to improve early diagnosis is key to ensuring patients with IPF get the treatment they need to have the best quality of life possible, and whatever can be done to support this, should be. ‘The challenge for GPs – who have the broadest curriculum of any medical specialty, yet the shortest training programme – is that the initial presenting symptoms of IPF are often similar to other, far more common, respiratory conditions. When Charlotte Harvey started suffering with breathing problems three years ago, she feared the worst. Her mother Anita had died the year before, aged 66, with idiopathic pulmonary fibrosis. Miss Harvey, 46, naturally feared she had the same condition, but her doctors told her she had no need to worry. After a while, Miss Harvey was misdiagnosed with bronchiectasis – a much more mild condition which makes the lungs vulnerable to infection. Eventually she persuaded her GP to send her for a CT scan – but even then the hospital held on to the results for four months before she was told she had IPF last April. 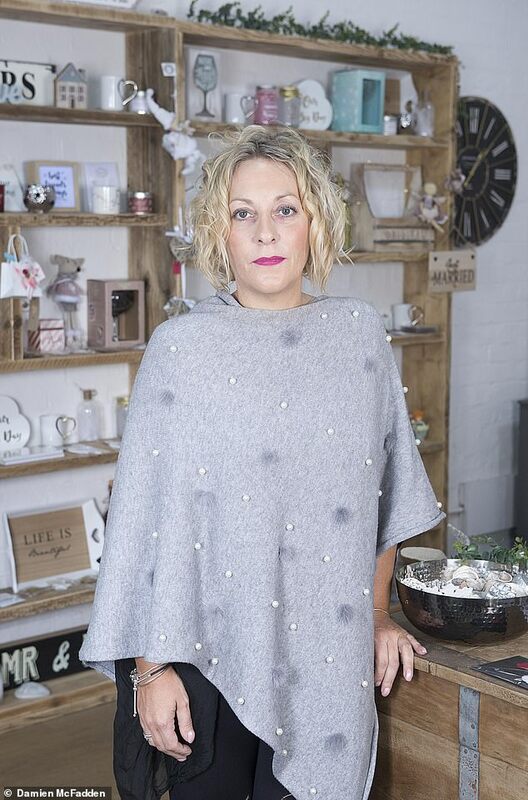 She gave up her career as an operations manager, instead setting up a gift shop. Miss Harvey also raises awareness of IPF and supports others with the condition.